I own an Ex-Military 1994MY Defender 130 which has been civilianised. I would like to put the doors back to Military Spec (especially the Drivers side). 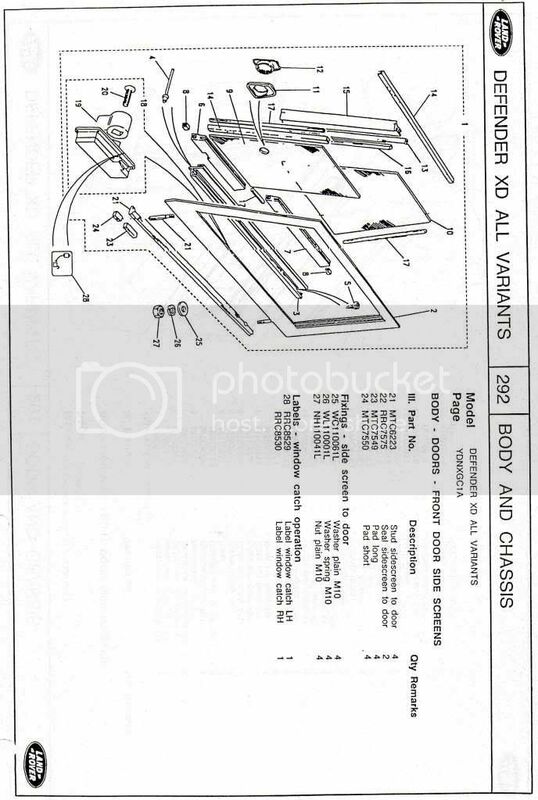 I've managed to get hold of a good drivers Door Bottom and was wondering if anyone here can help point me in the right direction for a fully glazed military(i.e. 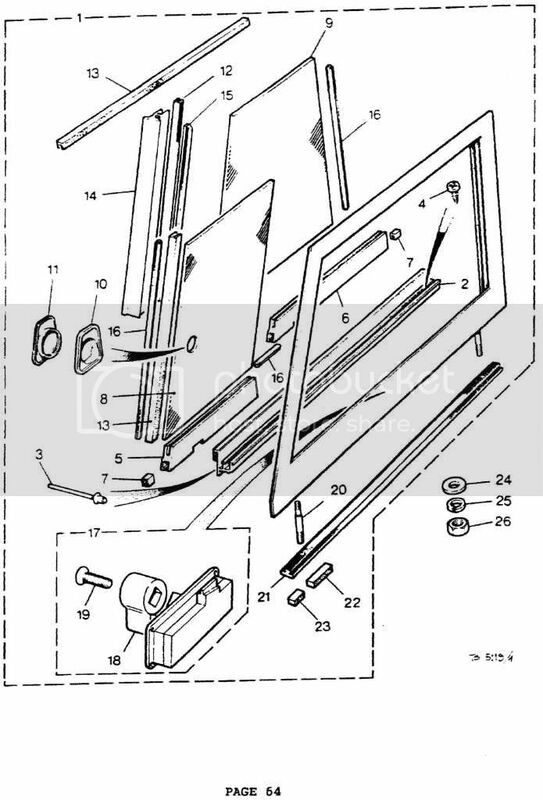 Slanting Glass) Door Top. 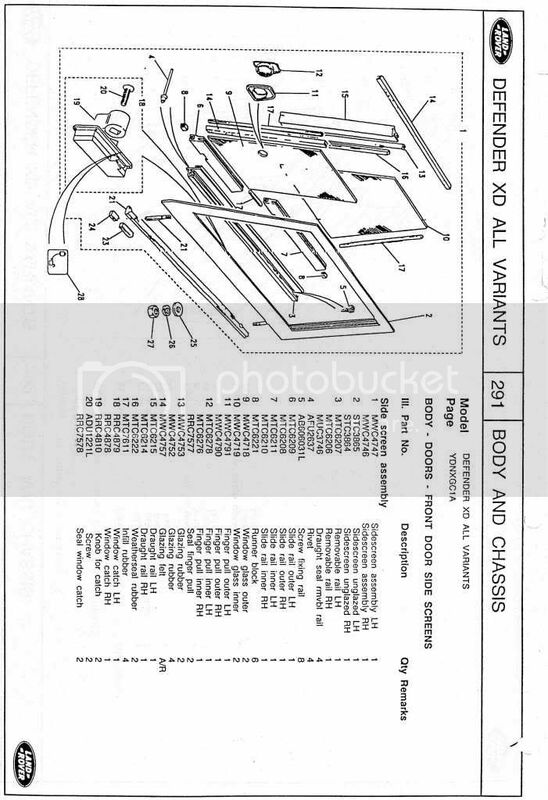 I have seen the excellent exploded view of the Door Top here: http://forums.lr4x4.com/index.php?act=atta...st&id=16094 does anyone know the part numbers for the respective parts?, just in case I manage to get hold of a second-hand one that needs renovating. The following pics are from the L/R microcat [pics 1 & 2], and the 1986> microcat [ pics 3 & 4]. If they do what are the fancy blinds like that fit on to them as i dont think ive seen them before. Thanks Chris, exactly what I was after. All I need now are some door tops. I've got my eye on a few on eBay, unfortunately most of them seem to be LH ones. Are you able to repost the jpegs for the door tops? 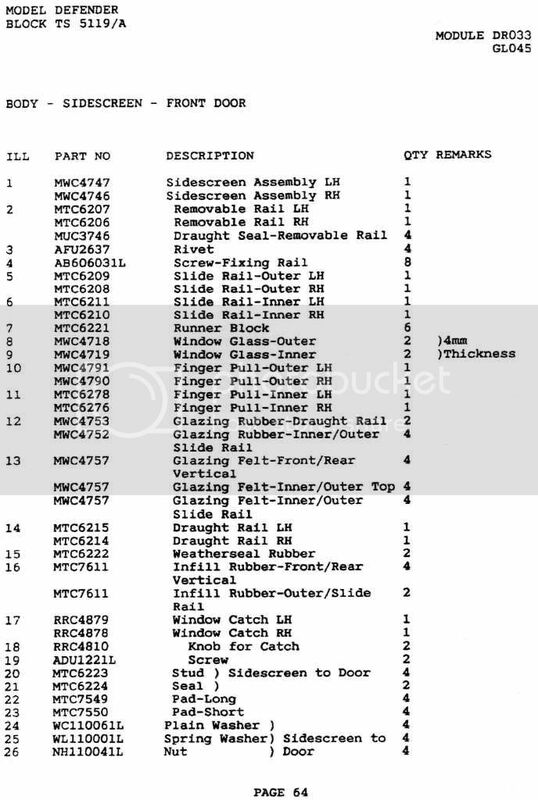 I am trying to get a full parts list for my FFR and cannot find them anywhere. Hoping you can help.